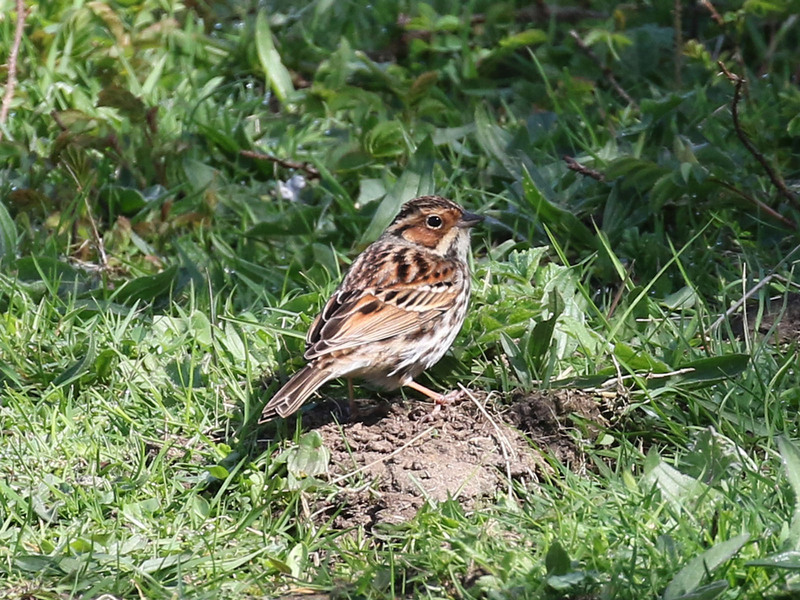 21st & 22nd April 2018 Black Kite, Little Bunting and Alpine Swift! Saturday 21st was fine with a stiff easterly breeze. Overnight rain towards dawn, with the wind switching SW by daybreak on Sunday, which was cloudless. What a memorable weekend it proved to be. After lamenting my lack of good fortune (having not found much to real quality on Beachy Head since a pair of Red rumped Swallow in May 2016) redemption came in the shape of 3 great finds, all within a 24hrs. Saturday the 21st saw day tripping Jamie Partridge and I tackling the whole headland. 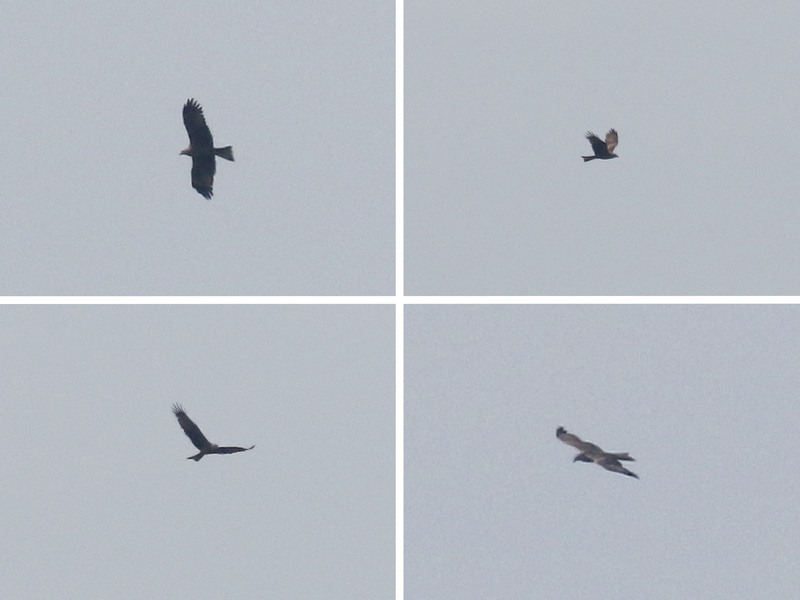 By midday initial highlights were a Ring Ouzel in Francis Bottom and 2 Red Kite through. Whilst at Went Hill I got brief views of what I shouted as a Black Kite. The views we got were rubbish (mostly head on and obscured) and the photo’s not much better. As luck would have it we were close to the car and in an urgent attempt to resolve the ID, we jumped in and sped off eastwards towards the pub in pursuit. We were hopeful of intercepting the bird there, assuming it continued in it’s initial easterly direction. Thankfully, after 50 long minutes, the bird appeared with a Red Kite behind Hodcombe giving much better views and images, although it was always fairly distant. Later in the day 3 Common Swift passed east over the house my first of the year. Black Kite taken from behind the pub. I had a later start on the 22nd, not making it to Shooters bottom until almost 9am. I hadn’t seen much beyond a few Willow Warbler, 3 Lesser Whitethroat and 5 Common Whitethroat and a Ring Ouzel. 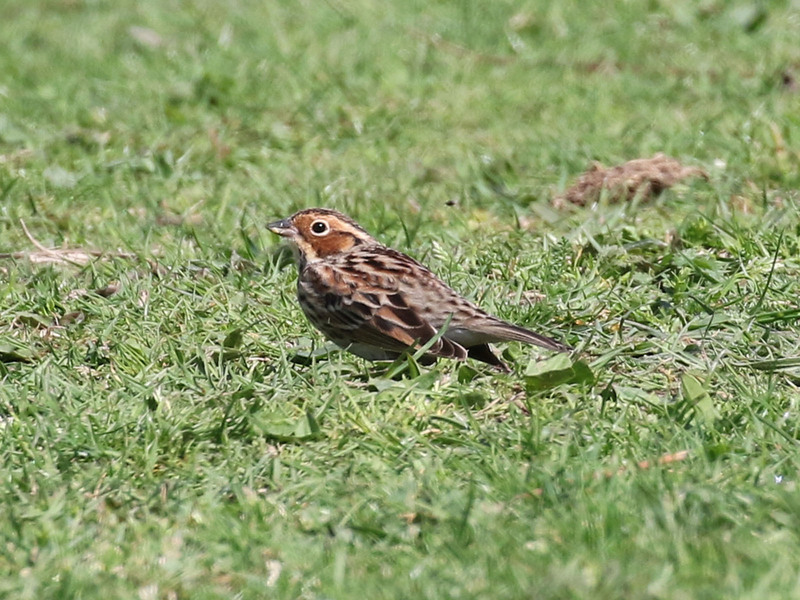 Whilst walking main ride I came across a small passerine feeding on the short grass ahead of me, raising my bins to discover it to be a very smart Little Bunting!. The bird initially went missing for an hour before reappearing in the same location. 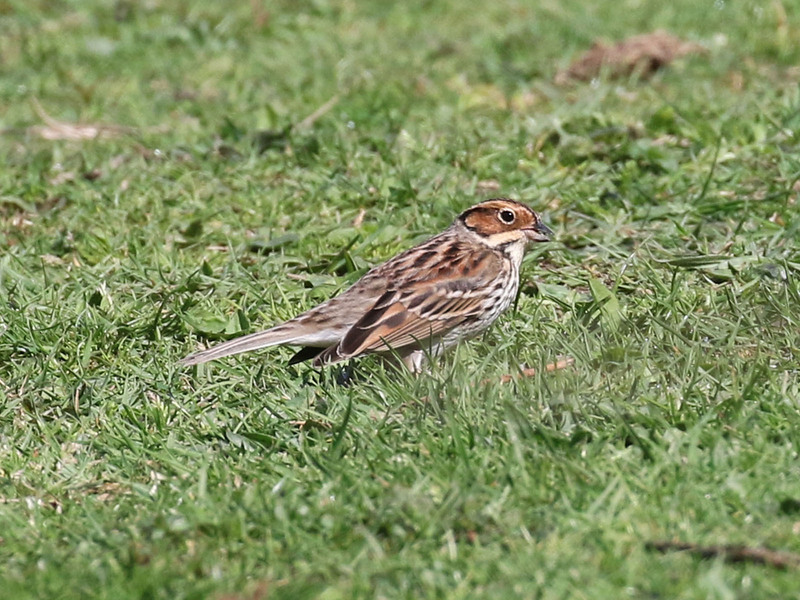 A very nice bright individual and certainly not on the radar as a spring find here in Sussex. The overnight rain front and east wind possibly instrumental in dropping this bird in. Quite tame and very vocal, giving its familiar “tick” call, mostly in flight. In interim, whilst searching the area for the bunting and in mid conversation with Bob Edger, I picked up an Alpine Swift passing overhead, so low I could immediately identify it with the naked eye as it headed purposefully into the the south west wind. Another bit amazing of serendipity all within a 60 minute window. Since moving here Alpine Swift had been on the “most wanted to find list” at Beachy Head. The occasion playing out much as I had imagined it, without warning and over in 60 seconds. Although brief, it will be a treasured memory. I was pleased a number of locals and Beachy Head stalwarts were able to catch up with the Bunting although only Bob and I saw the Swift. Alpine Swift over Beachy Head. Scything through the air heading west, probably on show for less than a minute. Typically, it wasn’t hanging about. An eventful weekend, one that justifies my decision to move to an area that has the potential to offer outstanding birding. The only regret being Jamie not present for the events of the 22nd, having retuned to London the evening before.